Dr. Andrew Dittenhofer, Holzer General Surgeon, is shown pictured with Bob Davidson, who recently shared his experience as a hernia surgery patient. https://www.mydailytribune.com/wp-content/uploads/sites/42/2018/07/web1_Davidson-testimonial_ne201872515057500.jpgDr. 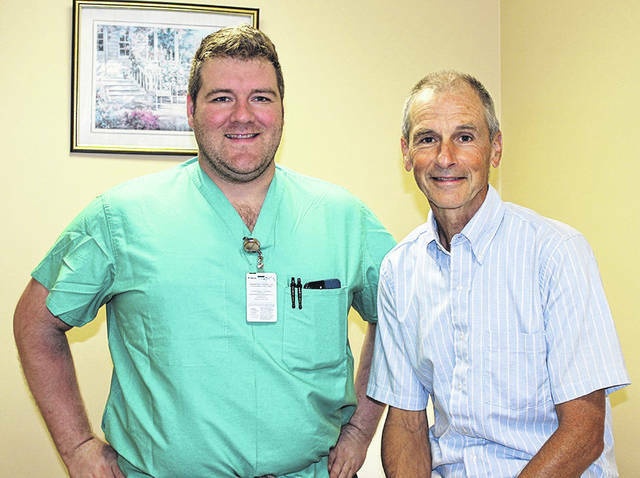 Andrew Dittenhofer, Holzer General Surgeon, is shown pictured with Bob Davidson, who recently shared his experience as a hernia surgery patient.